Preparations for the International Congress of Christian Archaeology (CIAC XVII) are in full swing. Scholars and colleagues from many countries have already registered and a promising programme of lectures and presentations is now in place. Participants will meet in Utrecht and Nijmegen from July 2nd to July 6th. If you did not register yet, and if you are interested in the topic of boundaries, borders, borderlands, transitional zones, and frontiers in Late Antiquity, we invite you to register for the conference and join us in the Netherlands during the first week of July. The wealth of proposals submitted by researchers from a wide range of countries has allowed us to draw up a programme that fulfills our ambition to explore the central subject Frontiers on different levels and to create a forum to debate the issues and research methodologies raised by the topic of our congress. 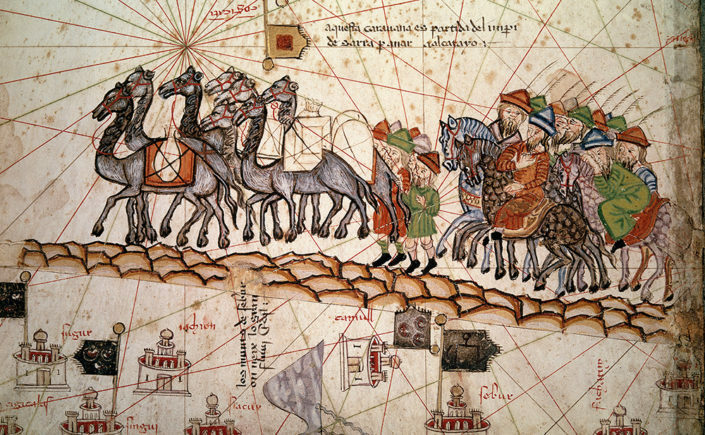 The core of the programme consists of a set of geographically concentrated sessions focussing on all the border regions of the Late Antique empire. Sessions on the dynamics between centre and periphery, and on border crossing phenomena such as migration and Christianisation will tie these geographical sessions together. A special session will be dedicated to the dramatic situation of Christian material heritage in the warstruck regions of the Near East today. Moreover, participants will have the opportunity to learn about new discoveries in the field of Christian Archaeology in the Novitates sessions, and in the shape of a wide variety of posters that focus on presenting recent research. Keynote speakers will open and close the conference with stimulating reflections on the central theme of the congress. The attractive ancient cities of Utrecht and Nijmegen, both originating in Roman settlements on the limes of the Roman Empire welcome you during the first week of the summer month. Guided tours to discover the ancient roots of the hosting cities are included in the programme. In order to broaden the horizon an excursion is provided on the day following the congress (Saturday July 7th). We will visit the highly interesting copy of Roman catacombs in Valkenburg and the late antique and early medieval monuments and excavations in the beautiful cities of Maastricht and Tongeren in the Netherlands and Belgian region of Limburg. Directly preceding the congress itself, a masterclass will be organized for master students, Ph.D’s, and postdocs. It intends to stimulate reflection on the discipline of Christian archaeology, on current-day practices, challenges, and perspectives for the future. This class will be conducted by a select group of scholars who will present aspects of their research and discuss it with the participants. The masterclass, entitled Christian Archaeology across Borders, will take place in Utrecht on Saturday June 30th. 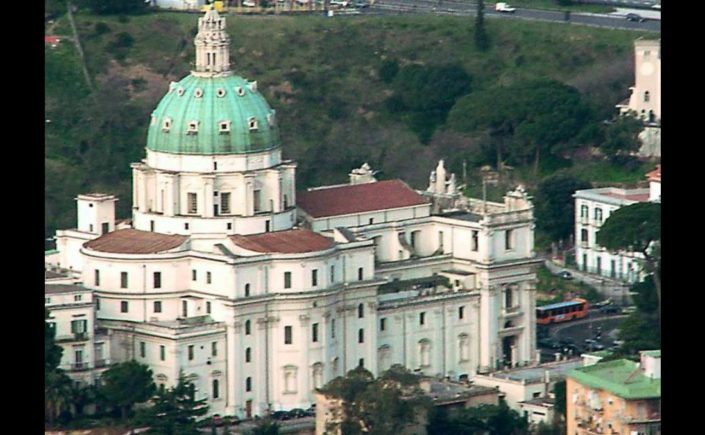 The congress is organized by the universities of Utrecht and Nijmegen, in collaboration with the Comitato Promotore dei Congressi Internazionali di Archeologia Cristiana, based at the Pontificio Istituto di Archeologia Cristiana in Rome. Further support comes from the Honorary Committee and a National Steering Committee of experts. Please note that registration with the regular fee expires May 1st, 2018, but online registration is possible until June 15th. Day-passes are available. For students there is a reduced fee. Additional registration for the master class and the excursion will open soon. Hotel accommodation in selected hotels in Utrecht and Nijmegen can also be booked online: https://ciac.sites.uu.nl/accomodation/ All other information and latest news can be found on the congress website. We hope to welcome many colleagues and students. We trust the congress will create an attractive and inspiring environment for scholarly and human exchange. The Cult of Saints in Late Antiquity is a major 5-year ERC-funded research project, based primarily in Oxford, supported by a team in Warsaw. The project is mapping the cult of saints as a system of beliefs and practices in its earliest and most fluid form, from its origins until around AD 700. Central to the project is a searchable database, in which all the literary, epigraphic, papyrological and documentary evidence for the cult of saints is being collected, whether in Armenian, Coptic, Georgian, Greek, Latin or Syriac. This database, which is continuously being added to, can already be accessed using this link: http://csla.history.ox.ac.uk. On 27-29 September 2018 we are organising a final conference in Warsaw, before the project closes at the end of the year. 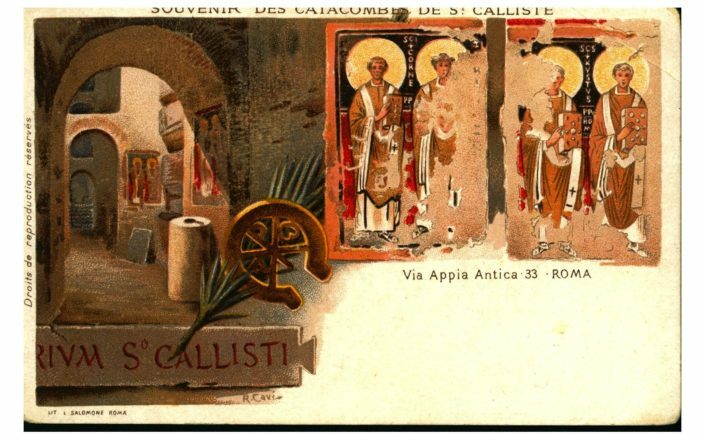 The topic of the conference is as broad as the project Ð the cult of saints in Late Antiquity. What we hope to achieve is a broad picture of this phenomenon, and so, although we will welcome papers studying the cult of a specific saint, cultic activity or region, we will give priority to those that set cults and cult practices against the wide background of cultic behaviour and belief, now readily accessible through our database (already operational and filling up fast). Among the confirmed key-note speakers are Luigi Canetti, Vincent DŽroche, Stephanos Efthymiadis, Cynthia Hahn, Anne-Marie HelvŽtius, Robin Jensen, Xavier Lequeux, Maria Lidova, Julia Smith, Raymond Van Dam, and Ian Wood. Those interested in presenting papers are requested to send a title and short abstract (c. 100 words) to Robert Wisniewski (r.wisniewski@uw.edu.pl) by 20 April 2018. There is no registration fee, but please, note we will not be able to cover travel and accommodation expenses. 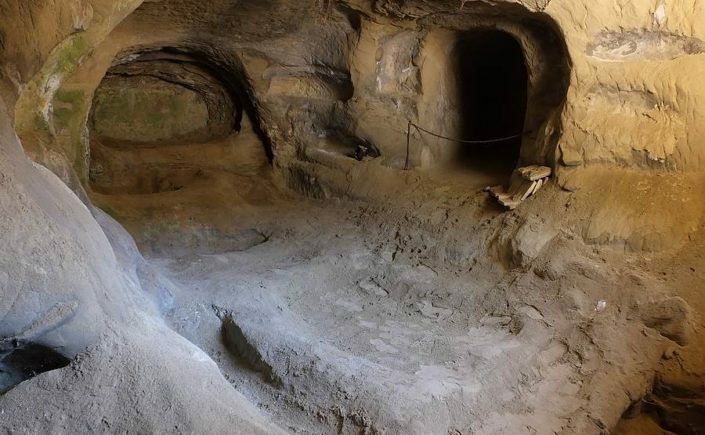 The Catacombs at Castelvecchio Suberquo (AQ) will be open on Saturday, March 24 and Sunday, March 25, 2018, during the "Giornate FAI di Primavera", an initiative of the Fondo Ambiente Italiano to provides public access to hundreds of historic sites throughout Italy. Also the same weekend, tours will be held of the churches of Sant'Ilario and Sant'Emidio alle Grotte on via Carso in Ascoli Piceno in proximity to an early Christian necropolis with hypogean chambers and tombs. More FAI events here (link). (Source: PicenoNews24 of March 15, 2018). 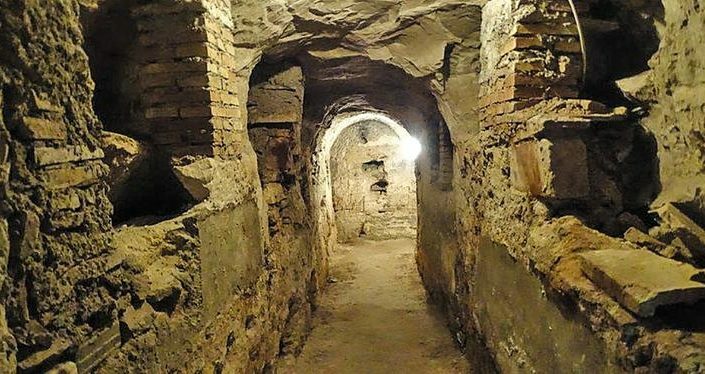 The Catacombs of Sant'Emidio in Ascoli Piceno in Le Marche are to be restored and opened to the public by 2019 thanks to the generous financial support of the Fondazione Cassa di Risparmio. 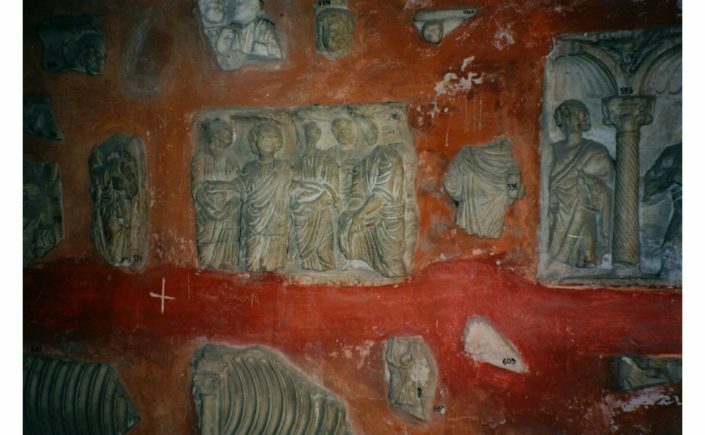 While the project focuses on the medieval crypt of Sant'Emidio below Ascoli's cathedral, it also draws attention to the existence of fourth-century burial crypts in the city's Campo Parignano locality ("Sant’Emidio alle Grotte"), which the bishop of Ascoli, Giovanni D’Ercole, hopes to include in the official catalogue of catacombs of Italy under the supervision of the Holy See (link). A photogallery of these crypts with loculi, arcosolia, and formae tombs is here (link). To visit the Catacombs of Sant'Emidio and Church of Sant'Ilario, contact by e_mail: s.emidiomondo@gmail.com, or call +39 334 3565078 (Sig. Giuseppe Bachetti); +39 328 3247179 (Sig. 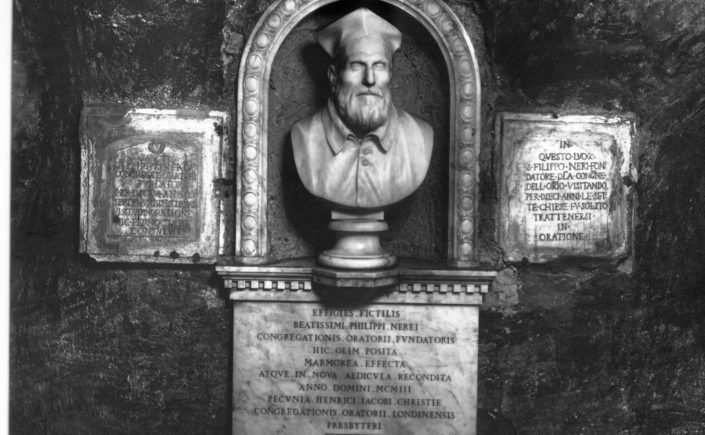 Paolo Petrucci). 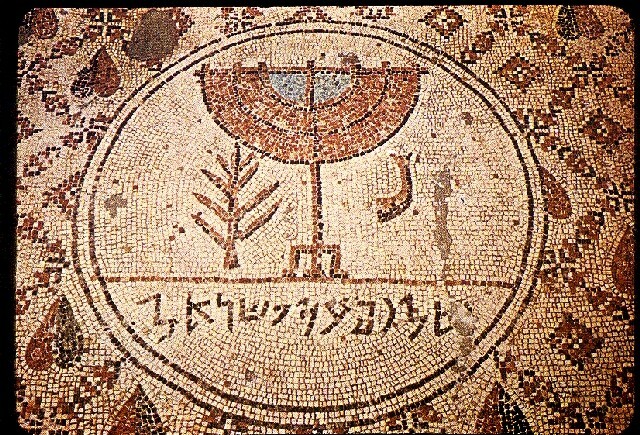 (Source: Cardinal Bea Centre for Judaic Studies) - The Cardinal Bea Centre for Judaic Studies at the Pontificia Università Gregoriana (Rome, Italy) is offering scholarships to students, under the age of 30, enrolling in the two-year Postgraduate Degree Program in Judaism and Christian-Jewish Relations for the Academic Year 2018-2019. Each scholarship amounts to 9.000,00 Euros and is given for one Academic Year (two semesters), renewable for a second Academic Year. Scholarship applications are to be submitted online to judaicstudies@unigre.it by 15 April 2018. For more info: www.unigre.it/Judaicstudies. The Working Group on Christian Archeology for the Study of Late Antiquity, Early Medieval and Byzantine Culture (AGCA) is offering funding of 2,000 euros for the year 2018 to support scientific theses on work areas of the AGCA. The funds serve to promote and support scientific qualification work (master theses, dissertations) in the field of early Christian, early medieval and Byzantine archeology. Preference will be given to members of the AGCA and especially to junior researchers. Bachelor's theses are excluded from the grant program. Travel expenses for site study, and library or archival research can be supported. Applications for grants may be submitted by 30 April 2018. They are to be addressed to the Senior Chair of the AGCA (address below). The AGCA Board of Management will decide on the applications in May 2018. Accordingly, funding cannot be disbursed until June 2018 at the earliest. If the AGCA board accepts several applications, the maximum amount of EUR 2,000 will be distributed among several projects. The award will be subject to the financial situation of the AGCA. If applicants apply for or receive grants for the same project from other sources, this must be communicated to the AGCA when making the application. After completion of the funded project, the treasurer of the AGCA must be sent a short report on the work done and a budget statement. Written applications for the allocation of funding for the year 2018 are to be sent with a detailed description of the project, a professional c.v., and a list of the estimated or requested costs in a maximum of 10 DIN A4 pages to be sent in a single copy and electronically as a PDF attachment to the First Chairman of AGCA by 30 April 2018. The application must be accompanied by a letter of support from a supervisor of the qualification work, which may also be sent to the first chairman separately. 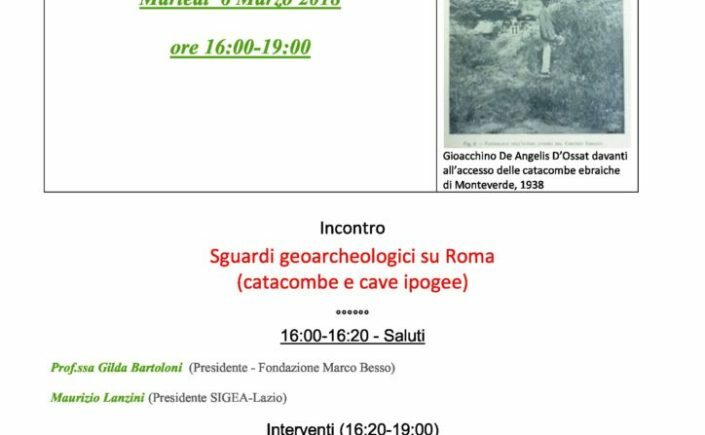 Mostra "La Catacomba di Monte Stallone a Formello, nuova luce dopo un decennio di ricerche"
Giovedì 8 Marzo 2018 ore 10. Sarcofagi di S. Sebastiano al restauro. Dalle rarità bibliche alle innovazioni teofaniche, del prof. Fabrizio Bisconti, s.e. Apertura straordinaria Catacombe di San Sebastiano e visita alla Cripta di San Filippo Neri. Domenica 25 marzo 2018, 9:30-16. Visita speciale alla riscoperta dei luoghi e della spiritualità di San Filippo Neri attraverso un percorso nuovo tra luci e ombre. We are pleased to announce the launch in Fall 2018 of the Center for the Art and Architectural History of Port Cities / Centro per la Storia dell’Arte e dell’Architettura delle Città Portuali, a collaboration between the Museo e Real Bosco di Capodimonte in Naples and the Edith O’Donnell Institute of Art History at the University of Texas at Dallas, with the participation of the Université Paris-Sorbonne. Housed within the Capodimonte’s bosco in an eighteenth-century agricultural building called La Capraia (the goat farm), the Center is a laboratory for innovative research in the cultural histories of port cities and the mobilities of artworks, people, technologies, and ideas. Research and programs at La Capraia are dedicated to exploring global histories of art, architecture, and cultural production, while grounded in direct study of artworks, sites, and other materials in Naples as well as Campania. Through Research Residencies and regular site-based Research Workshops and Symposia, the Center at La Capraia supports scholarly access to Naples, fosters new research on Naples and on other port cities, and creates a network of students and scholars working on related projects. applications for Research Residencies for PhD students in the early stages of their dissertation. Projects, which may be interdisciplinary, may focus on art and architectural history, music history, archeology, or related fields. All projects must address the cultural histories of Naples as a center of exchange, encounter, and transformation, while making meaningful use of research materials in Naples and Campania including artworks, sites, archives, and libraries. Residencies will run for 4½ or 9 months (mid-August through December, January through mid-April, or mid-August through April). Research Residents will be awarded free lodging and work space at La Capraia, as well as the cost of travel to and from Naples at the beginning and end of the period of residency. Residents will be responsible for all other personal expenses during the residency period. Research residents will be granted privileged access to collections and research resources at the Capodimonte; access to other sites, collections, and research materials will be arranged as needed. At the end of the research period, residents will submit a written report on their progress, and share their research in a public lecture, gallery talk, or site visit. letter of intent, and a proposal of 1,000-1,500 words that outlines the research project and the resources that will be used in Naples. Materials should be sent in a single PDF file to elizabeth.ranieri@utdallas.edu and lacapraia@gmail.com. In addition, applicants must invite three recommenders to send letters of support directly to the same email addresses. All materials including letters of recommendation are due by Monday, April 16, 2018.